One of the things I mentioned in my Eight Tech Signs the World Might be Coming to an End was that the Enlightenment Foundation Libraries had reached a beta state. Something I mentioned briefly in my announcement about the Bodhi Release candidate was that it was now shipping with the EFL 1.0 libraries. You read that right. Not alpha, not beta, not release candidate, but a stable 1.0 release of the Enlightenment Foundation Libraries. Ten years in the making, the EFLs released their first stable revision this weekend. 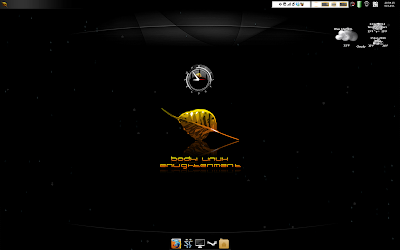 This is the first step towards a "stable" release of the Enlightenment DR17 desktop. I would also just like to clarify one thing. The Enlightenment Foundation Libraries and the Enlightenment desktop are two different things. 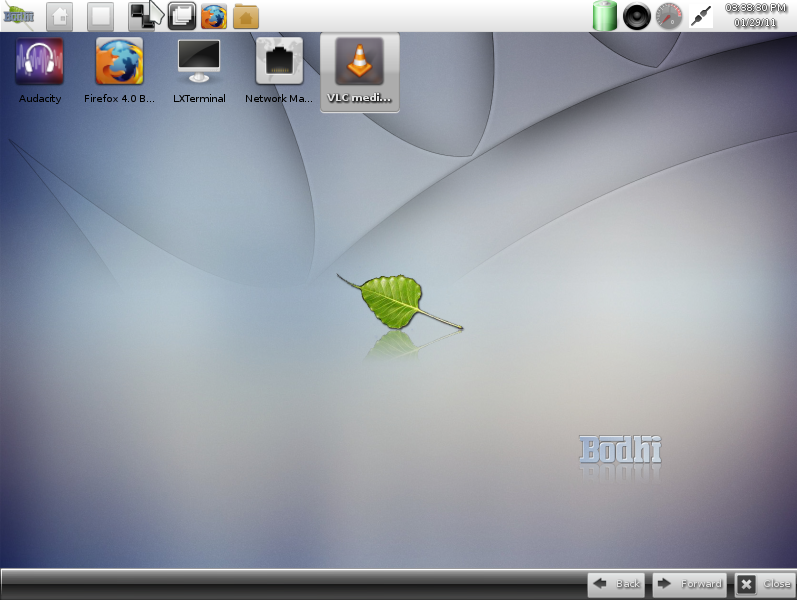 The easiest way to think about this is that the EFLs are to the Enlightenment desktop, as GTK is the Gnome and QT is to KDE. They are the binaries that the graphical user interface is (typically) written in. 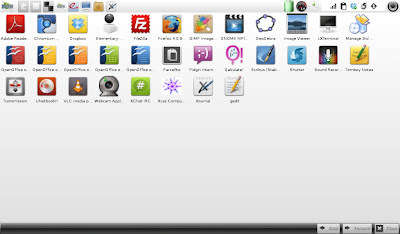 They are the toolkit for writing applications, they are not the desktop environment itself. As I've mentioned before, Enlightenment development is very rapid of the late and this stable release is not slowing anything down. Looking towards the future, work has already begun on what will become the 1.1 release of the EFLs (starting with the pile of patches that had built up during the code freeze before the 1.0 stable). If you are a coder looking to get involved with a project (or someone wanting to keep up with Enlightenment news) the E mailing lists are the best way to do so. 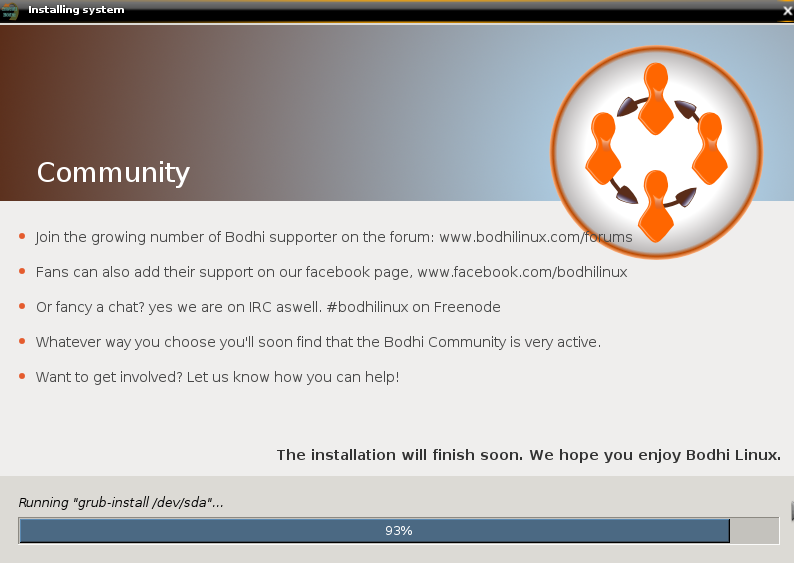 Today the Bodhi team and I are happy to announce our release candidate (0.1.5) is now available to the general public. This disc includes a number of package updates, most notably Firefox beta 10 and EFL 1.0 stable release. For a full change log see here. Because a picture is worth a thousand words the following is a screen shot overview of some of the changes in the release candidate. You can download the disc via torrent from here or from direct download here. Have any questions, comments or complaints please feel free to drop a comment below or make a post on our forums. Twice in the past week I have gotten into discussions with friends about the topic of processor architecture. One of these discussions was about the cell processor. The cell processor is a Power-PC based, micro-processor that was designed to bridge the gap between traditional 64bit processors and GPUs. The second discussion was about another type of processor architecture most of us use everyday - the ARM processor (as of 2007 an approximated 98% of mobile phones use an ARM chip). The only reason we have even begun making the transition from x86 to 64bit is because 64bit is backwards compatible with x86 code. 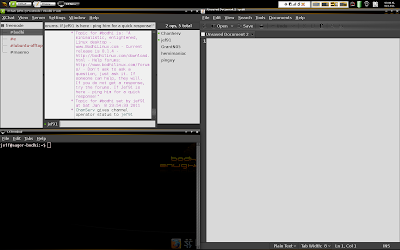 ARM and PowerPC architectures require a recompile (and sometimes minor editing) of code before it will run. 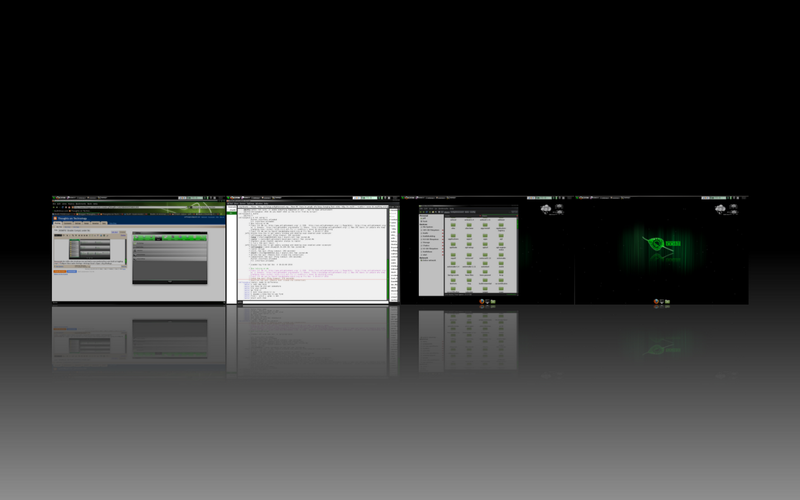 Those of us that use FOSS know that this recompile is normally only a minor inconvenience. This flexibility is something I love about open source software. 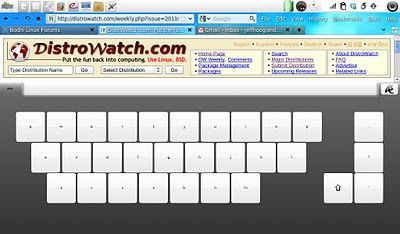 It is one of the main reasons Linux is dominating the countless mobile handhelds and tablet computers we have seen released in the last couple years (and why you can easily install Linux on your PS3). Most companies that write closed source software cannot be bothered to even cross-compile their software to different operating systems. In other words, I don't think we will see Adobe's photoshop or Mircosoft's office running on an ARM chip anytime soon. This lack of foresight on these companies parts will eventually be their downfall. The computing world is rapidly evolving around us, ever changing and progressing. Just like in nature, it is only the adaptive that survive. I believe FOSS will be the one to come out on top some years from now - but then, only time will tell! Two of my friends transfered out NIU this semester, both of them are running various forms of GNU/Linux on their personal computers. One of them is not so technically inclined and he asked me to help him trouble shoot why his Ubuntu system could not get an internet connection. After doing a bit of searching online I found that NIU had some special settings for connecting to their wired network via Cisco NAC. Hundreds of residents’ computers have been so severely infected that they have been removed from the network for days or even weeks"
After I read the first line my brain started going through what kind of hacks I could rig up to get the network to think he was running Windows. We tried a few different things, I even talked to my other more tech savvy friend that was at NIU and he was unsure as well. Alas it was as Saturday night and he wouldn't be able to get help from the tech desk till Monday morning. After about half an hour of trying we ended up calling it a night. Now I would like to share a lesson with you that I have been taught a few times by this point in my life. When reading directions always read all the directions before starting. Linux must authenticate by logging in via a web page. Thats it. 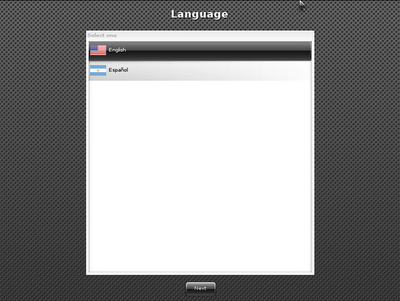 Just a web login. No anti-virus, no update monitoring, no mandatory firewall, no big-brother type behavior of any sort. 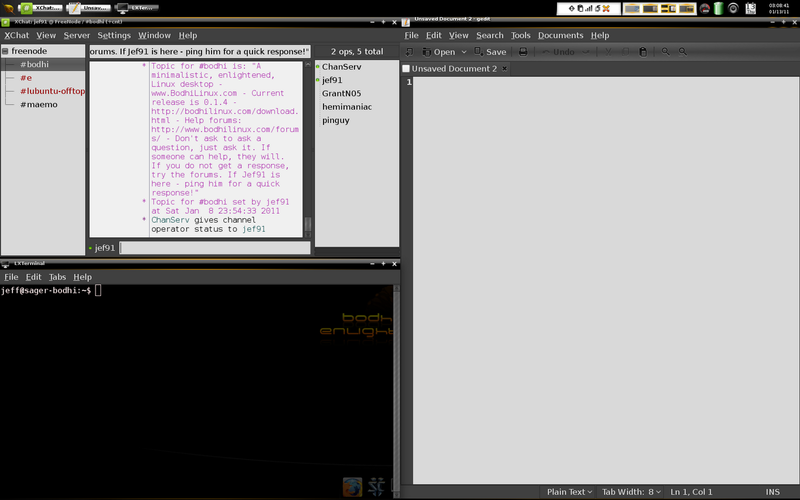 To quote my friend "I guess they believe that linux machines behave well enough that they don't need big brother". That there is even a mention of Linux on a page such as this reminds me of the fact that regardless of what people think the OS market shares are - there are obviously enough Linux users out there to provide support to them. What about you? Ever found support for your operating system from somewhere you weren't expecting to find it? 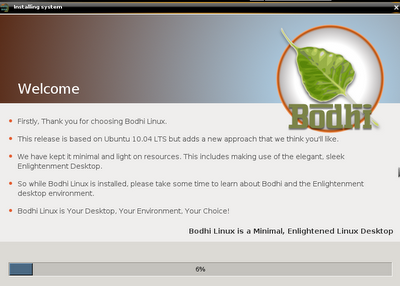 Not even three months ago Bodhi Linux was nothing more than a thought in my mind. 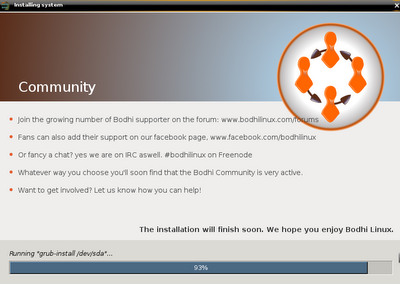 Today Bodhi is a thriving young project. If you have visited our team page lately or seen our news posts then you know our small team has been steadily growing. We are happy to welcome four new members to our team. 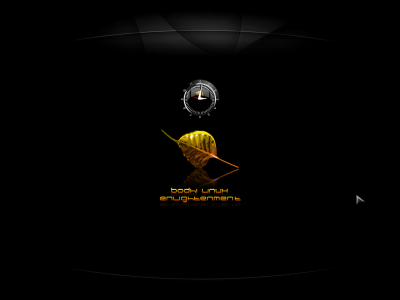 Mark Strawser (ottermaton) is taking charge of Bodhi documentation and our get software page. Agustin Verdegal (Agust) is the one responsible for all of the wonderful Enlightenment themes for Bodhi. I am also especially pleased to welcome Christopher Michael (devilhorns) to our team. Christopher has been working with the Enlightenment development team for nearly ten years. He is working hand in hand with the Bodhi team and community to get any issues that occur with the desktop corrected ASAP. 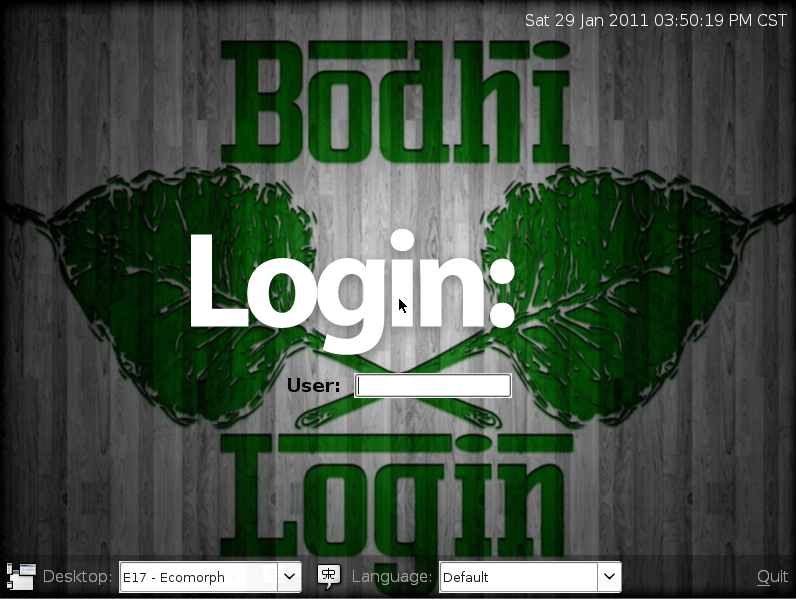 He will also be coding some new things that will allow Bodhi to provide a better desktop experience for everyone. Our beta release on the 8th has been received well by most and we could not be happier with the response. Even though we are still not list on Distro Watch we have averaged over 250 downloads a day for the last twelve days between source forge and torrents. 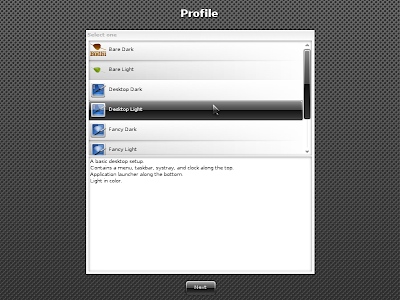 Awhile back I did a posting about useful/interesting Gnome Panel Applets. Of the late I've been featuring the Enlightenment desktop more and more so I figured it was only fitting that I do a post highlighting some of my favorite Enlightenment Modules. 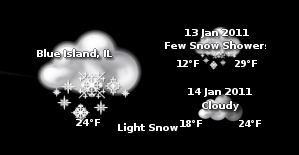 The forecasts module allows you to display the weather forecast of the current day and the following two days in Widget form either on your desktop or on a shelf. 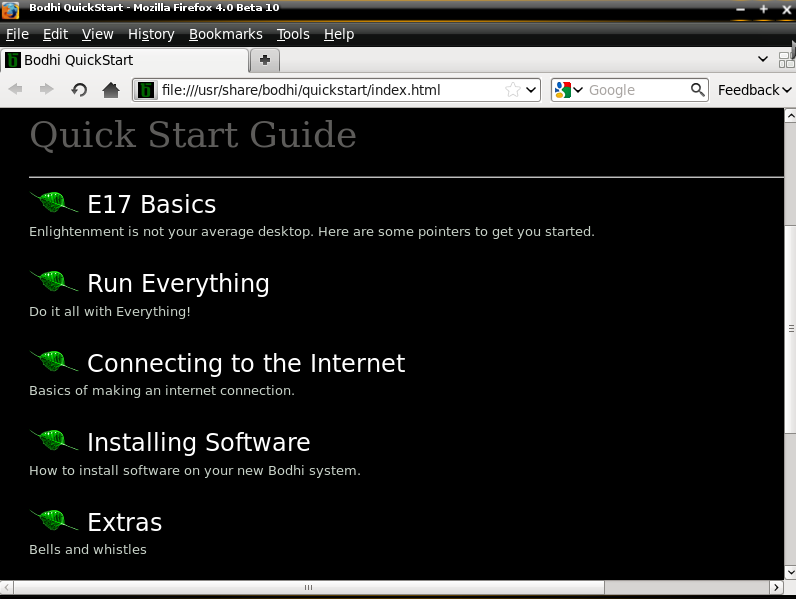 It has options to display in English or Metric and is configurable how often it checks for updates. People I've encountered in the past that use tiling Window Managers are often akin to cultists, they are many time fanatical in their belief that tiling is a superior type of manager - after having used one myself I am inclined to agree with them. For those who are not familiar tiling means that none of the Windows on your screen overlap, when you launch a new applications, the other ones on your screen readjust to account for the new one that has been opened. This may seem like something simple, but you would be surprised at how much time you save not having to mess around with adjusting Windows to the proper size on your screen. The tiling module also supports only applying tiling to certain virtual desktops, so your entire Enlightenment desktop doesn't have to tile if you don't want it to. 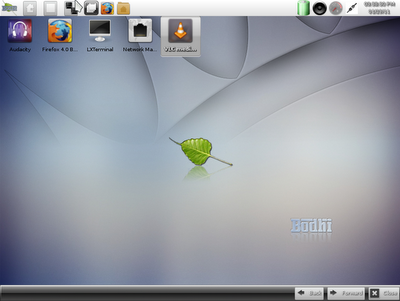 Many that use Linux are familiar with Compiz desktop effects. 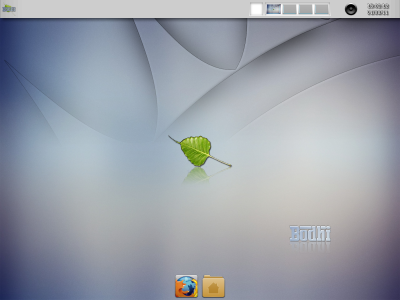 Even though Enlightenment has some basic built in effects, those with more powerful systems might desire a little bit more flare for their desktop. Ecomorph is a port of Compiz for the Enlightenment desktop. The effects it brings include open/close/minimize animations as well as desktop cube and expo. Itask-NG provides an "OSX" like dock similar to docky and cario. The main advantage to itask-ng is the fact that it does not require desktop compositing to be enabled for it to provide fluid animations. 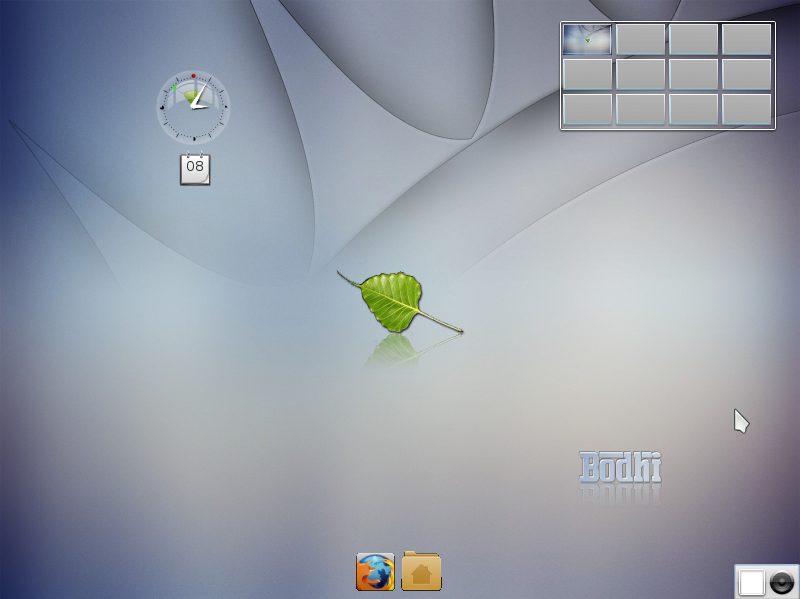 It supports both application launchers and acting as a taskbar for running applications. Set your E desktop on fire with this goofy little module! 100% configurable RGB values for the colors of the flame. Rain or snow - Enlightenment development progresses! 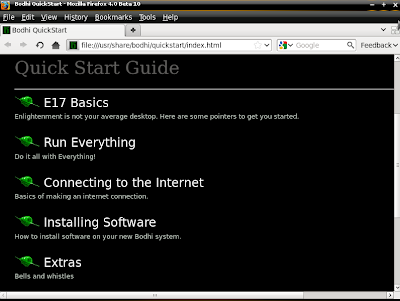 This module won't exactly increase productivity, but will give your desktop a bit of flare. You can configure the module to increase or decrease the intensity of the rain or snow. Know of any other E-Modules that are useful (or fun) that I missed talking about here? If so drop a comment below. Two months after our first release, the Bodhi Linux team and I are proud to announce our first ever beta release. This release features a number of package updates including the Firefox 4.0 beta 8 and the latest Enlightenment SVN build as of 01/08/2011. For a full change log see here. The most important change in this release is how the default theme for Bodhi is now handled. After listening to the complaints of people more than a few times, I realized I needed to do with Bodhi's theme what we had done for applications - let the user make their own choice. 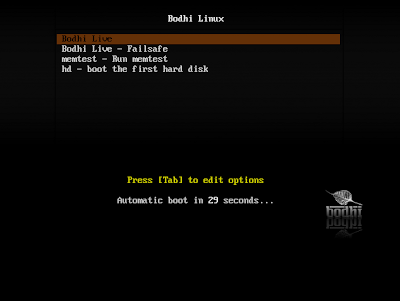 As of 0.1.4 Bodhi now comes with two different themes, one light and one dark, and four different custom Enlightenment configurations to choose from. 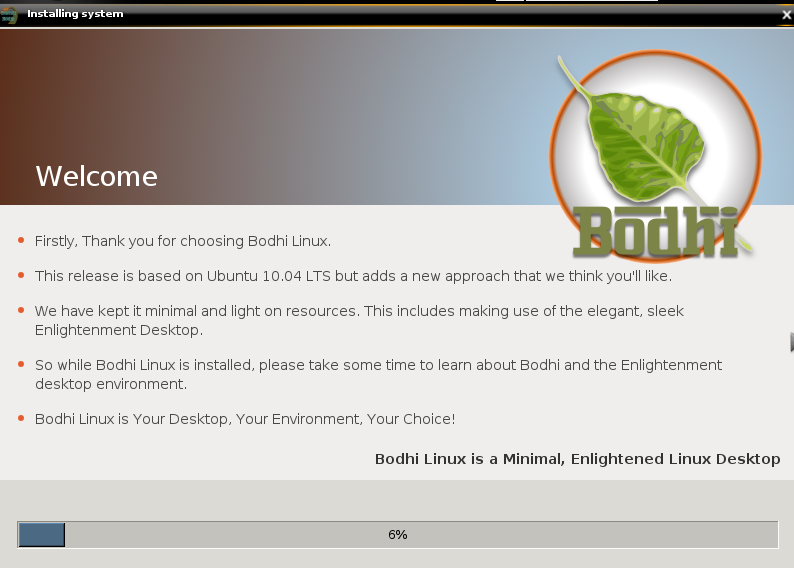 In an effort to keep the disc size small Bodhi only ships with the English language. If there is a demand the team and I will publish discs in other languages as well. Each of the four layouts lists a short description of what configuration provides and is offered in both light and dark flavors. 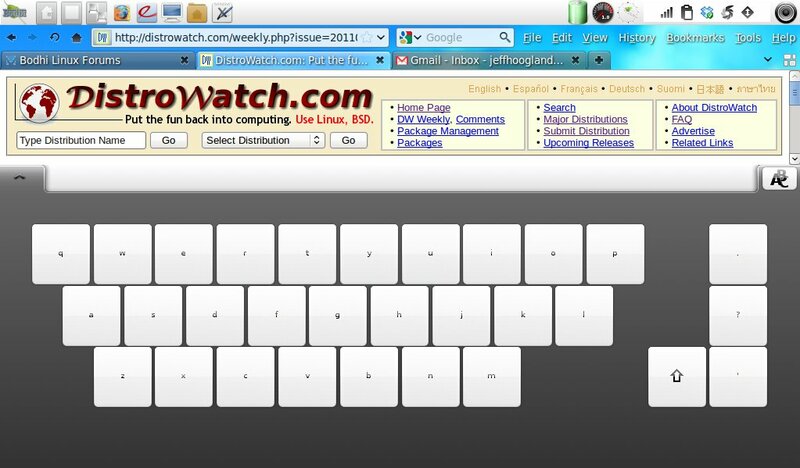 Scroll down the end of this article for images of what these layouts look like. Next you select what you want your menus to show for applications. 99.9% of people will want to select System Default, selecting Settings will cause your application menu to show applications that normally appear under Settings->All->System (and not any other applications). 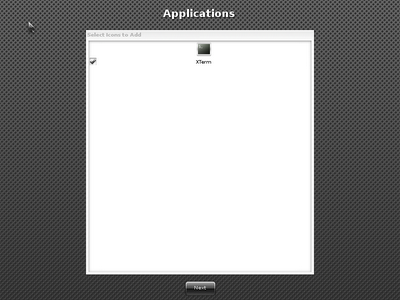 Next, you are asked if you would like xterm to be listed in your applications. If you are a terminal junkie like myself, you won't mind having two. 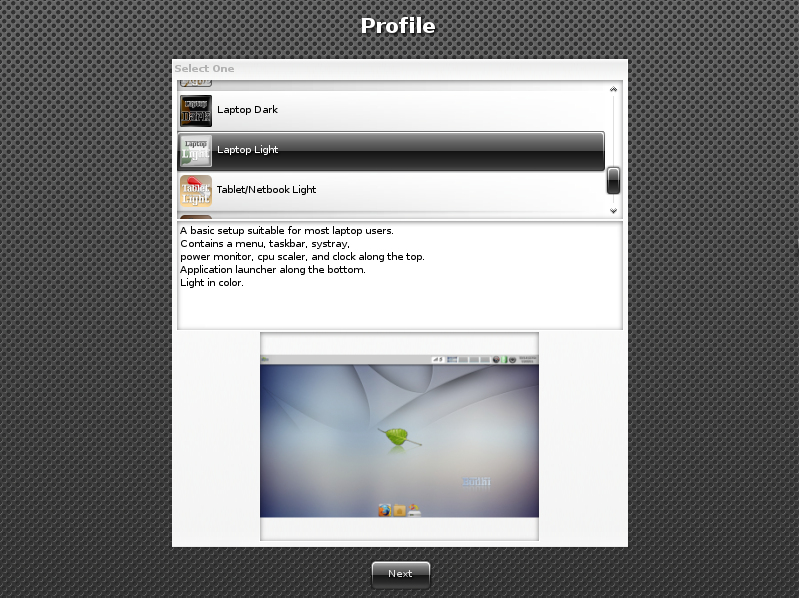 Finally you are asked what applications you would like to be shown on your quick launcher bar. If you are booting the LiveCD with plans on installing, just tick off the Install launcher for quick access to it. For those who are wondering, the following are screen shots of what the four different layouts (and two new Enlightenment themes) look like. For those looking to download this beta you can get a direct download from source forge here or via high speed torrent download here. Have any comments, questions, or suggestions please feel free to drop a message below or drop by our forums.